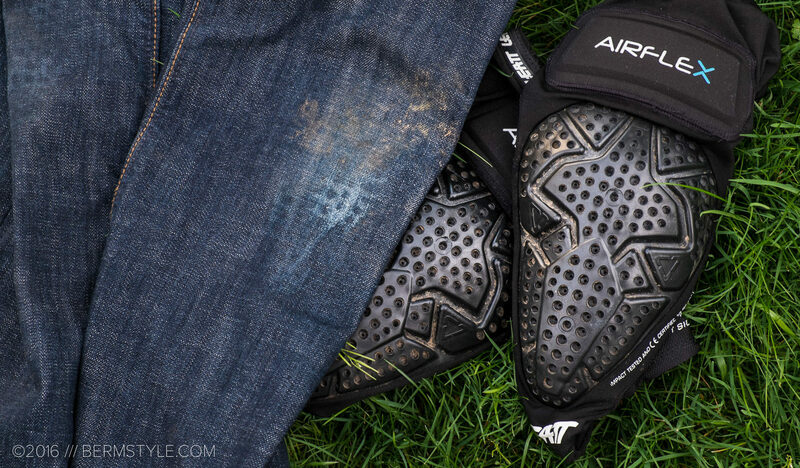 The Airflex Knee Pads have without out a doubt, saved my knees from some major impacts. Best known for their revolutionary advances in neck protection, for 2016 Leatt expanded their product offerings to include helmets, packs, gloves, armor and other protective gear. 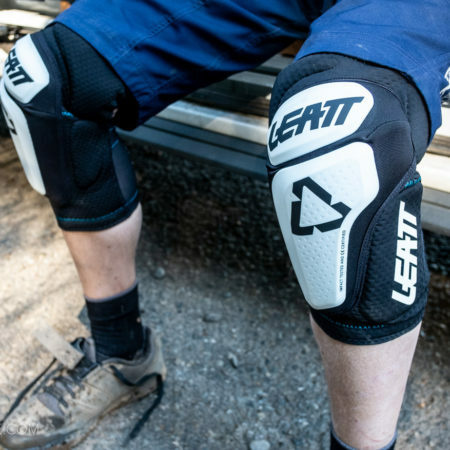 Leatt sent a pair of the Airflex Pro Knee Pads and gloves over, and for the better part of the year they’ve been put through the wringer. Leatt offers a full range of hard and soft shell armor, rated on a scale of 1-5 for impact protection. Riders looking for high speed crash protection for bike park riding are best seeking out the hardshell pads. For those times you’re simply looking for a bit of insurance and light weight crash protection, they designed the Airflex Series. 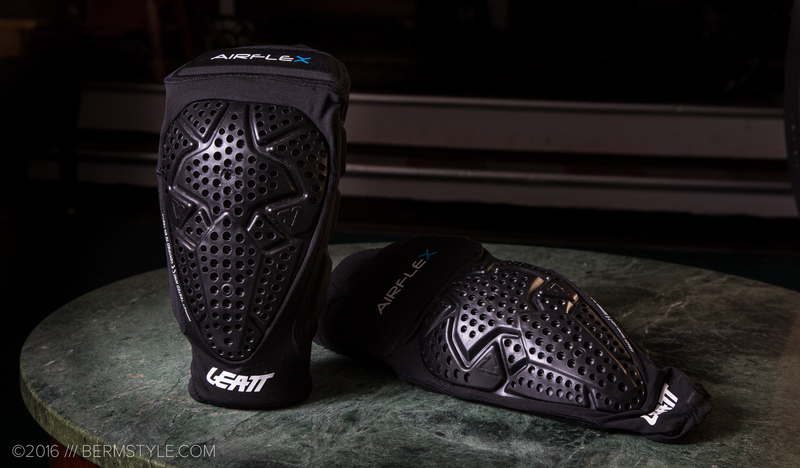 Armor Gel is tasked to handle impact duties for the Leatt Airflex Pro knee pad. The material is firm but pliable, making the pad comfortable and easy to move around in. When subjected to impacts, the material hardens to damp the energy of the blow. 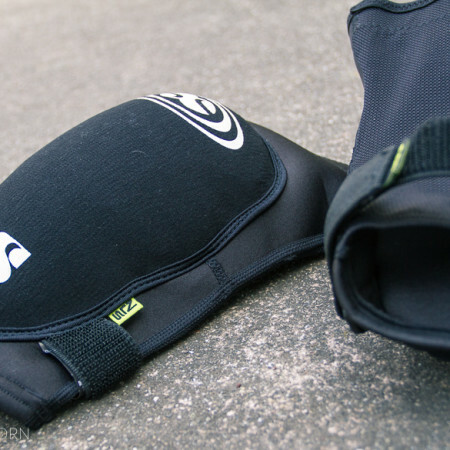 The rest of the pad consists of moisture wicking polyester and nylon materials similar to other light weight knee pads — along the lines of beefed up knee warmers. The comparisons end here though — the Airflex Pro adds side and upper knee impact protection for a whole new level of protection, and every seam is reinforced. The pads are light weight, weighing in at 300g for a pair, are CE tested and certified with a 6mm CE impact profile. 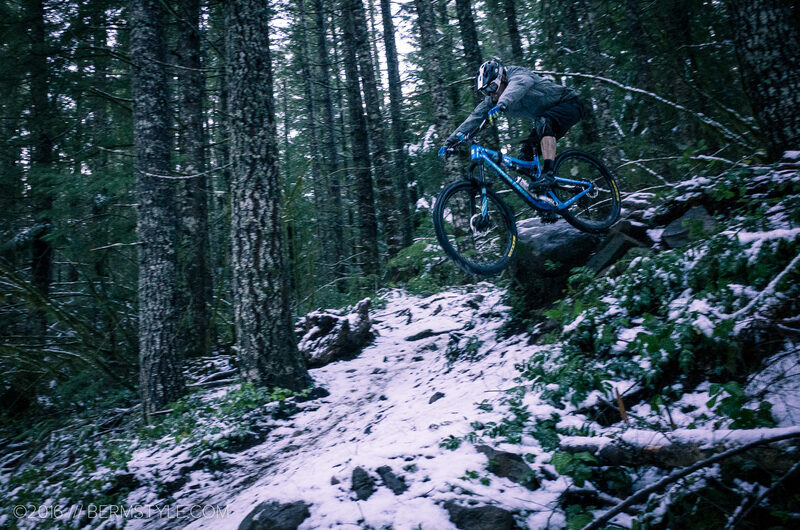 Trail riding somewhere in southern Oregon in the Leatt Airflex Gloves and Knee pads. Leatt Armourgel is some cool stuff. At Interbike they had it on display, and it does an amazing job taking hits for how lightweight it is. 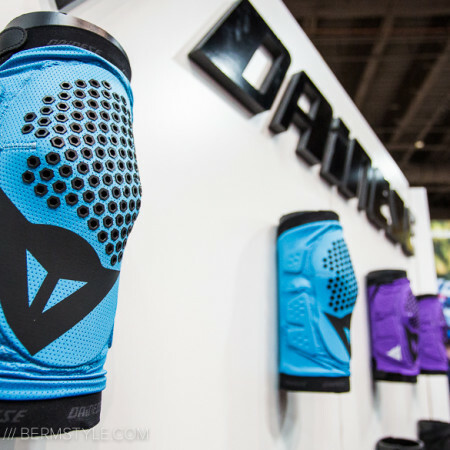 After several months of wearing (and crashing) in the Airflex knee pads, I’m sold. They’ve been used on everything from shuttle runs to long trail rides as well as coaching in the bike park for the better part of 6 months now. During this time, I’ve put these pads through more impact tests than any other product I’ve used to date, and I’ve yet to see wear and tear on them. One of the highlights of the Airflex Pro is the slim profile that allows them to be worn under jeans, making them a nice stealth option for urban, street and indoor park riding. That said, they are a fairly light duty pad; after repeated impacts (crashes) in the bike park, I still accumulated bruises through the pad. I would have been better off running their hardshell model for learning new moves on the ramps, but there is no doubt they saved my knees from serious beatings and torn skin. 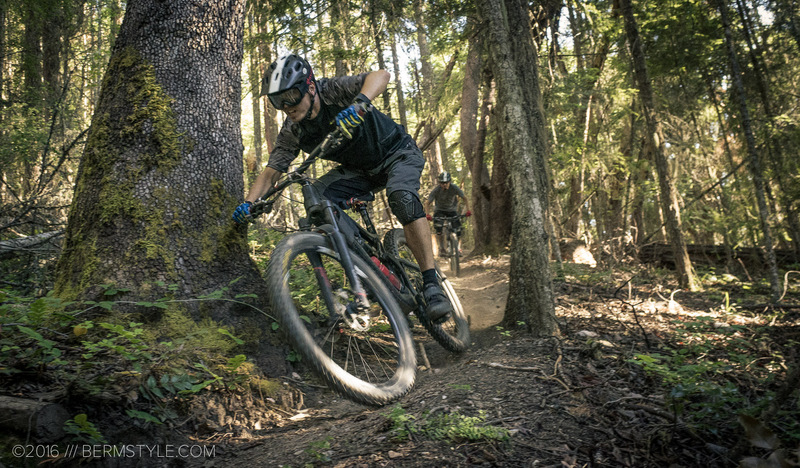 Dropping into the Rock Drop Jump Trail at Sandy Ridge wearing the Leatt Airflex knee pads and gloves. Although the Airflex is a slip on pad, they stayed put with no issues whatsoever, thanks to the long length. 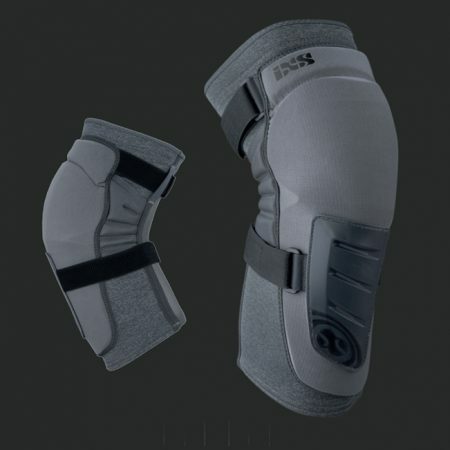 That alone sets the design of the Airflex apart from other knee pads in the category. Not only is there an additional section of padding above the knee cup, but because of the length, it stays put. The additional length also makes it a good match for XC/trail oriented shorts that end above the knee. The upper knee protection provides a bit of overlap with undershorts and prevents the unsightly thigh gap often found when wearing shorts with 12″ inseams. 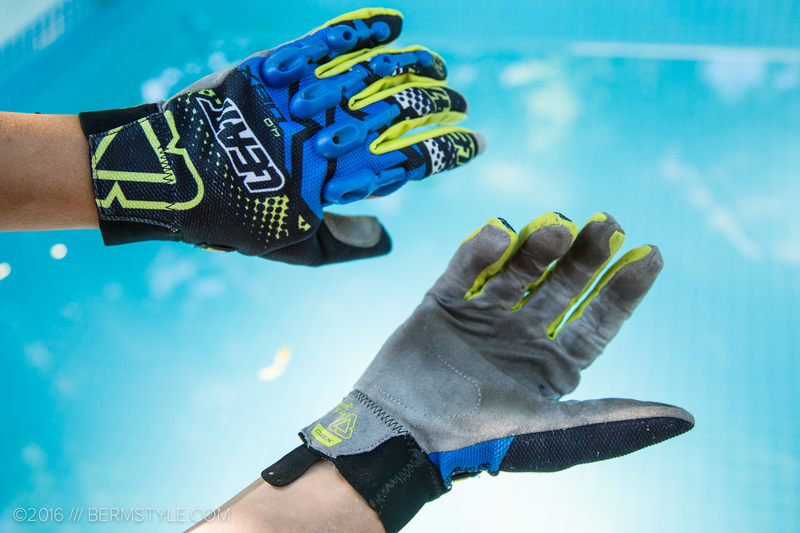 As far as we’re concerned, Leatt has nailed it with the Airflex Pro. If you’re in the market for a light weight knee guard with a minimal/ slim profile, we highly recommend seeking them out — especially if you run shorts with smaller inseams. During the chilly winter here in the northwest, the wind resistant Airflex gloves were a lifesaver. Like the Airflex knee guard, the Airflex gloves utilize Armorgel to provide impact protection of your knuckles. 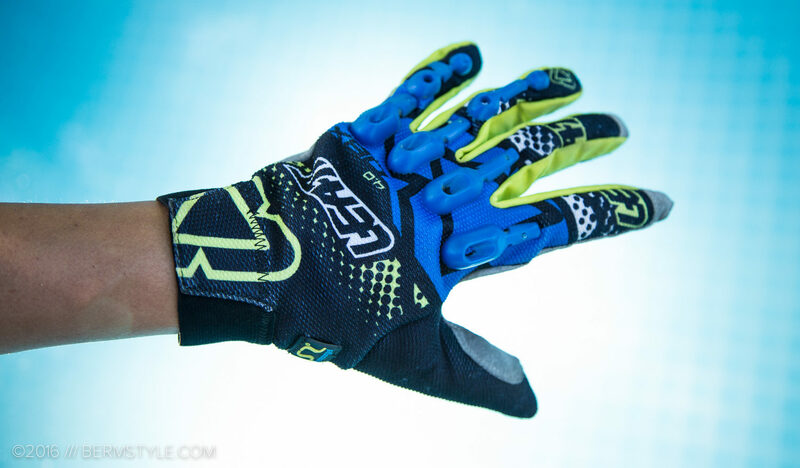 Unlike other gloves with knuckle protection, the Airflex gloves look to be good options for general trail riding and not just gravity parks. When the gloves arrived, I did what anyone would do and donned the gloves and started punching things. The Armourgel absorbed much of the impact energy, but the first real test came only a few weeks later. I was riding down a busy section of street, when a driver neglecting to give even a foot to pass, edged me to the right. I clipped my knuckle on the mirror of a parked car, and though it was only a glancing blow, it certainly could have been enough to break my hand. Fortunately I had gloves with impact protection on. The Armourgel damped enough of the impact for me to simply yipe and chase after the car. 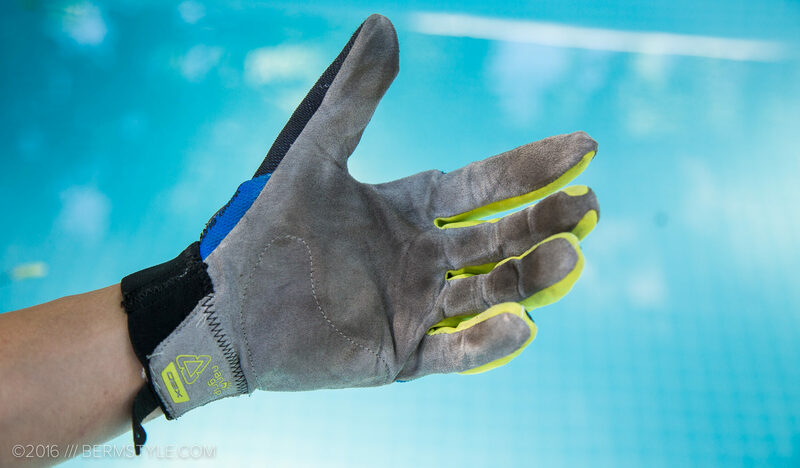 The pinkie and ring finger is also protected with these gloves, and having experienced the pain of punching a tree at speed, having the protection is reassuring. With handlebar widths growing wider and wider, investing in a pair of gloves with impact protection is becoming a prudent investment. Depending on the manufacturer, I run medium to large gloves, though. When in doubt, I’ve been erring towards large gloves as tight gloves as they last longer since they don’t need to stretch to fit properly. The material is comfortable and has proved durable and they have a good feel of the bars. My only complaint? The seams on the inside tips of the finger are a bit strange due to the pattern, something they’ll hopefully address in the next iteration.